Cherry Coke Shakes And Fries is a photograph by Rat Rod Studios which was uploaded on July 15th, 2010. 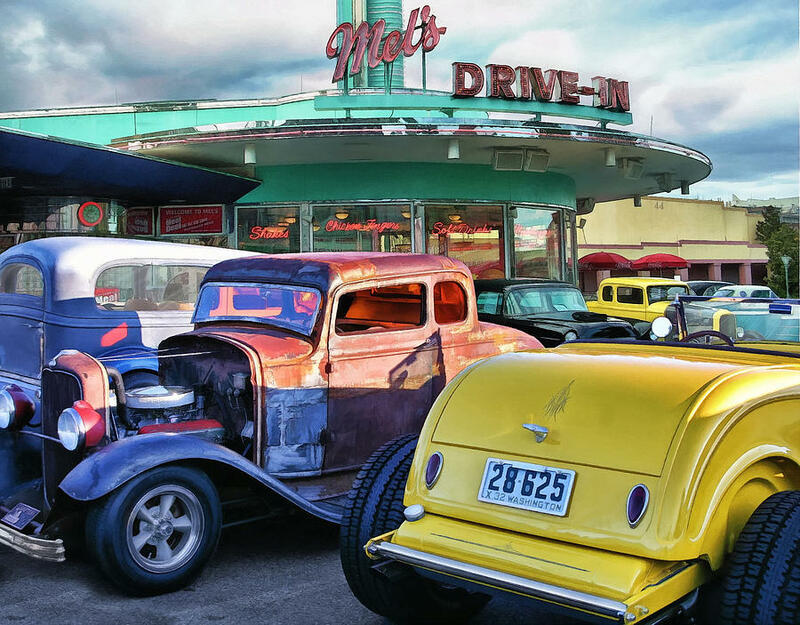 Meet me at Mels .....Wanted to try something a little more painterly with this one......the front three cars were photographed by Diane of Starlite Wonder Imaging. I changed the background and added a new sky. I then tried to digitally paint it. Jim, Jack, thank you guys, greatly appreciated. Really nice. I like the light and color and the "early evening" feel that you captured.